Flying hundreds of MPH and focused on a target while scanning the skies for oncoming missiles, was both the greatest adrenaline rush and hardest thing I have ever done. But somewhere over the skies of Iraq, a moment happened which rocked my identity. As I came home depression followed and tore my life apart. 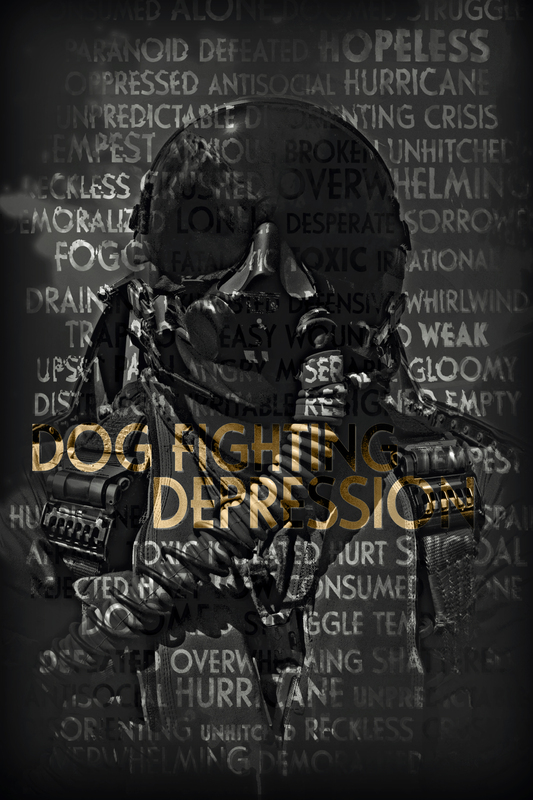 Slowly pulling myself out of this after trial and error, I knew that I needed to do something about veteran depression and suicide: so I wrote my book Dogfighting Depression. I am now your wingman as we dogfight this depression as one unit. Quick ways to get your head back in the game of fending off depression. "What better place than here ... what better time than now?" You Want Me to Land On That? High-Speed, Low-Drag Hardbound Limited Edition: featuring new foreword by distinguished West Point graduate / former Procter & Gamble CEO Bob McDonald, and a full-color dustjacket design by an Apple iPhone artwork genius!